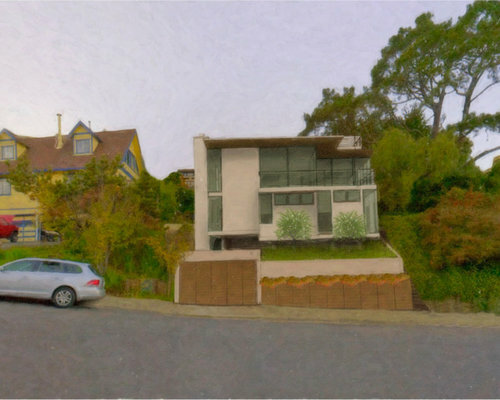 Seaside warm Marin County contemporary. 4 bedrooms. Open floor plan on upper level for view of Belvedere, Tiburon, Richardson Bay, San Francisco, Racoon Straits, Berkeley, Angel Island.